Holland America Line (HAL) has launched a completely re-imagined web site at HollandAmerica.com centred around a new, intuitive online booking process, easy navigation, bold images that capture the cruise experience and detailed information, making it an up-to-date resource for both agents and their clients. 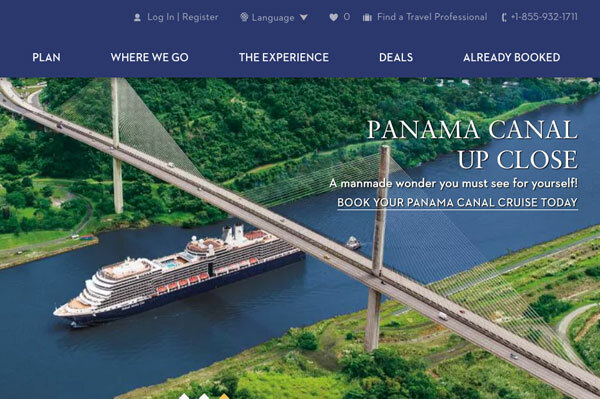 The focal point of the homepage is a new cruise search toolbar that allows visitors to easily select where they want to cruise, the port of departure, dates and cruise length. The homepage also features a top navigational menu that provides quick access to HAL’s cruising destinations, onboard experiences, cruise fare offers and information for guests who already are booked. A “Rooms” tab compares accommodations and pricing, giving guests the ability to select their preferred location (forward, midship or aft). The cruise fare then displays, showing alternative cruising dates for rate comparison. A “Ships” tab provides history and insight about the ship, while “Activities” showcases all of the enrichment and entertainment experiences on board, including Explorations Central, America’s Test Kitchen, Lincoln Center Stage, B.B. King’s Blues Club, BBC Earth performances and more.